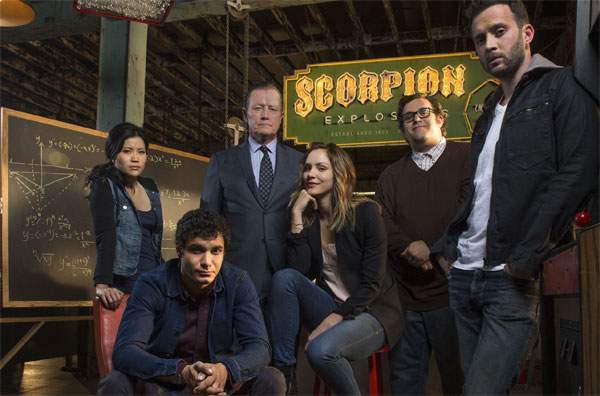 Scorpion Season 3 Episode 6 Spoilers, Promo, Air Date, Synopsis 3×6 Updates: The ‘genius’ show is preparing itself for Halloween 2016. Are you excited for the yearly occasion? The sentiment related to the event gets amplified with the feeling that next chapter will release on that day. It will add up to the fun celebration for the Halloween day. However, it is getting difficult time for Walter as he will struggle with his immigration. From the past episodes, you can remember that Happy and Walter are married for years now to get him the green card. While Walter is waiting to get his citizenship, Happy gets pregnant with Toby’s baby. This complicated the things on a much bigger scale. In the last episode, Happy asked Walter to get the divorce as she, now, wants to get married to Toby for the sake of their baby. However, Walter will have to find out a solution for the problem. Check: Lucifer Season 2 Episode 6. The Halloween episode is titled “Bat Poop Crazy” and will release on CBS rather than cable. It will come with two stories, and it will be interesting to know how the team deals with the new issue. Watch: Gotham Season 3 News. Also: Supergirl Season 2 Predictions. There is a lot of stuff going on inside the team and the show. But, we can enjoy the idea of which the production has come along to entertain the audience with a ‘bat’ mission. The population is the real issue behind it. Well, it seems to be appropriate as the episode will release on Halloween, and there’s already a lot of bat phobias out there. Check: The Walking Dead Season 7. Though it’s not at the same level as the clown phobia right at the moment, it’s there. The show isn’t doing any clown episode as of now as people are already freaking out right now. The show may come up with this idea later on. Scorpion season 3 episode 6 will air on Monday, October 31 at 9 pm ET on the CBS network. What do you think of the show’s future? Do you say Walter should get the divorce and let Happy and Toby get married? Is there any solution to Walter’s immigration problem? Share your views. Stay tuned to The Reporter Times for latest Scorpion news and other TV series updates.